A new year always gives us a fresh start – an opportunity to put the year in retrospect whiles making plans for the New Year. Asante Kotoko' Felix Annan reflects on his greatest moment in 2018. In reflecting on the year 2018, Felix Annan has revealed his greatest moment/accomplishment. Can you guess what it could be? Though he had a lot of wonderful moments, Annan revealed that his greatest moment of 2018 was the penalty save against Cara Brazzaville, the first leg of the CAF Confederation’s Cup which was played at the Baba Yara Sports Stadium on the 11th of February, 2018. 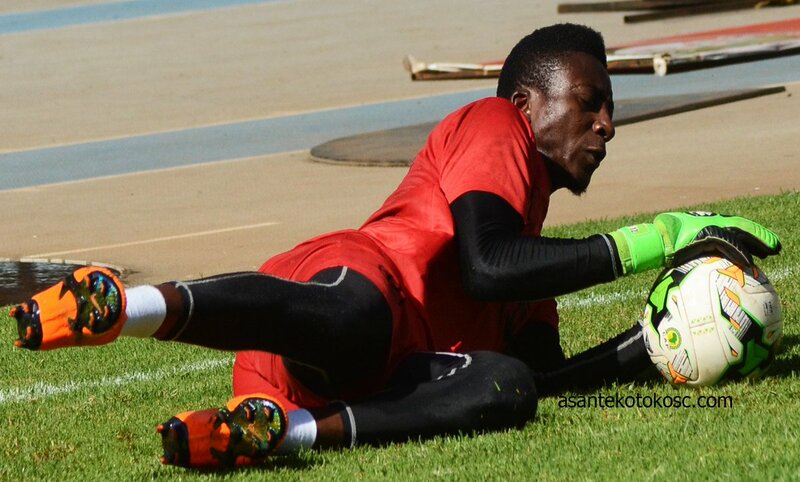 Annan's reason for that save being his greatest moment in 2018 was quite simple; Kotoko had squandered three penalty kicks in the game (psychologically, the effect of missing three consecutive penalty kicks in a game cannot be underscored) and so should CARA had taken the lead from the spot, Kotoko would have been extremely demoralized. In his own words, Felix said, “It was an important save to make after our team missed three (consecutive) spot-kicks in the game”. Annan and his outfit will travel to battle Cameroonian side, Coton Sport FC de Garoua in the final play-off round of the CAF Confederation Cup.